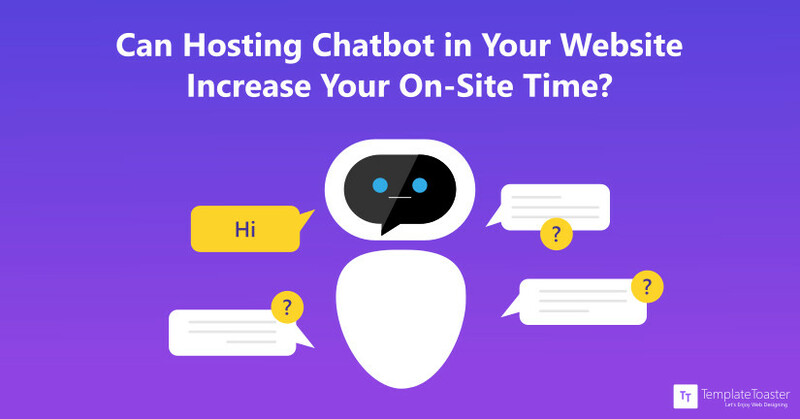 Do you know how chatbots can help you improve your website user experience and decrease bounce rates? This article dives into the details! Facebook has made chatbots popular. These online assistants are now an important part of the web. Chatbots can help a site visitor enjoy a better experience using the site. They help increase on-site time and reduce bounce rates. Marketers know that low bounce rates are vital. So, they use every tool possible to improve this data. There are lots of tools and strategies that can help you. Chatbots can be a very useful tool for the digital marketer today. This piece takes a look at chatbots. It shows you how they can help you achieve your aim of better on-site performance. The aim is to create automated chat between sites and their target audience. Chatbots make sure site visitors can get the answers they want fast. They can also help the visitor navigate the site more easily and can “work” around the clock. This means, with a chatbot, you can expect more visitors on your site to convert to clients. As predicted, these have become a main component of automation for 2017. Majority of businesses today integrate this AI form into their websites. So, knowing what these assistants are and how they work will help you see how they can improve your website’s on-site time. As an AI form, these assistants use a set of defined rules and standards to work. They can do a number of things and live in any major chat platform. Examples are Apple Siri, WeChat, Amazon Echo, Facebook messenger, and many others. Chatbots work just in the same way a human customer service officer does. If a site visitor opens a chat dialogue box and asks for help with something, it is the chatbot that responds. In addition, these smart assistants can give specific answers in natural, chatty lines – if a site visitor asks them. For example, it could tell a site visitor what time the business would open. It could also tell the site viewer the weather update in his or her area. What the chatbot does in this example is use the site visitor’s location and timezone to give precise answers. When brands want to improve their service, they can use specific chatbots. They can get data relevant to their product. This helps the brand to improve their web platform and their products or services. Many brands use chatbots messaging as an important tool in their marketing plan. The chatbots guide users and customers around the website. They can, therefore, provide visitors with relevant contents based on their conversations. These are the commonest. They allow businesses to have anytime assistants that can answer basic questions. They reduce the extra cost of employing officers on a full-time basis. The last two types of chatbots are important to this piece. Now that you understand what these assistants are and what they can do, let’s look at how you can increase on-site time with them. The first step in online marketing is to attract clicks to your site from different traffic sources. Making visitors stay longer and become clients is harder. The time people spend on a site shows their level of engagement. This is why smart web owners and designers use chatbots and tools like TemplateToaster, a web design software and website builder which can help them create a site design that their target audience will love and enjoy using. By using a simple chatbot, you can make the visit for each web user more personal and pleasurable. You will make it easier for them to see and know more on your site. Chatbots can also be used to predict your customer’s needs and make your site serve them better. For example, a chatbot could ask a site visitor if they’d like a “listicle” to show as one-page instead of slides. This could be all that the site visitor needs to stop from hitting the back button. Interacting with them to understand key details they want. Helping them narrow down navigation options fast (for example, size, price, et cetera for e-commerce sites). Suggesting new links based on previous interactions. Dealing with frequently asked questions fast. Gathering information about user behavior to make your site more user-friendly. “Mobile-first” is the new buzz. So, it is important to note how chatbots can help your mobile experience. The best marketers know that the user aim and interaction on mobile differ from on desktop. Chatbots are vital for the mobile experience because they improve the overall user experience. A mobile user is more likely to “ask” a chatbot than clicking around to find information. These eliminate issues that can occur on mobile devices. They can increase on-page time and conversions. The digital marketing world will remain very competitive. The competition line is now thinner and visitor experience is the key. Chatbot technology offers marketers a unique chance to get ahead of the crowd. Using these assistants help you provide real-time support. You can predict customer needs and deliver your solutions better. It can be the perfect solution you want.